More than 1,000 people attended Crystal Cave’s “Discovery Days” celebration this past weekend. The event commemorated the 140th anniversary of the Crystal Cave discovery on November 12th, 1871. The first show cave in Pennsylvania and the fourth-longest continuously operating cave in the United States, Crystal Cave will continue it’s celebration this summer with the special lantern tours, recreating what it was like to visit the cave when it first opened. The lantern tours last all summer and include folklore, stories and history that are not part of the usual tour. 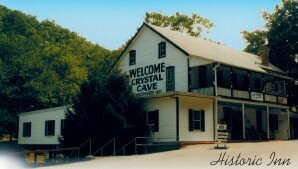 For more information on visiting Crystal Cave, visit the official Crystal Cave website or call 610-683-6765.